Proposed Basic Law, authored by Joint List MKs Zahalka, Zoabi, and Azbarga, intended to enshrine principle of equal citizenship for every Israeli citizen. Adalah – The Legal Center for Arab Minority Rights in Israel submitted a petition to the Israeli Supreme Court today, 11 June 2018, on behalf of three Arab members of Knesset challenging the Knesset Presidium's decision to reject legislation of their proposed law Basic Law: State of all its Citizens. This proposed Basic Law, authored and submitted by Joint List MKs Jamal Zahalka, Hanin Zoabi, and Joumah Azbarga, is intended to enshrine in Israel's Basic Laws the principle of equal citizenship for every citizen, while recognizing the existence and rights of the two national groups – Jewish and Arab – living within boundaries of the state as recognized by international law. The Knesset Presidium based its 4 June 2018 decision to reject the possibility of legislating the proposed Basic Law: State of all its Citizens on the grounds that it "denies the existence of the state as the state of the Jewish People." This decision effectively prevents the MKs from bringing the bill to the table for any discussion or parliamentary debate whatsoever. The Presidium is constituted by the Knesset speaker, MK Yuli-Yoel Edelstein, and deputy speakers and is charged with, amongst other duties, approving the consideration of proposed legislation submitted by individual Knesset members. 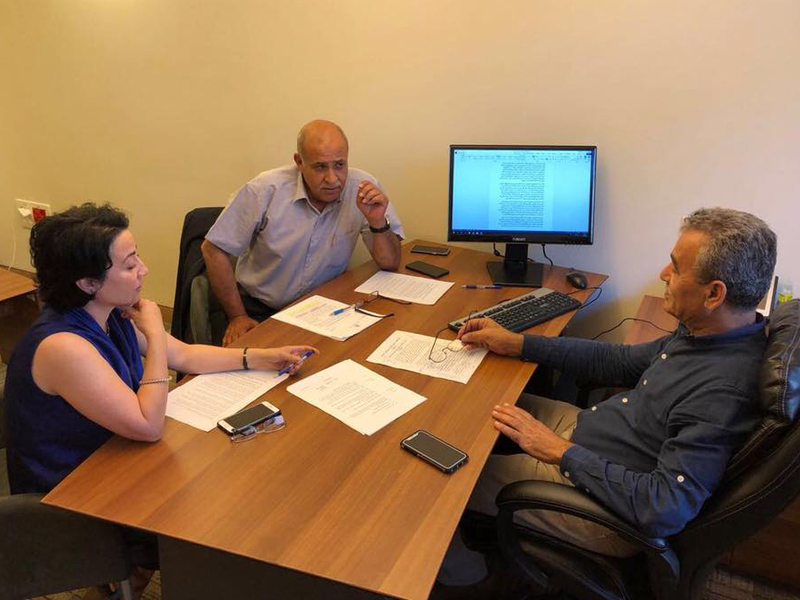 Adalah General Director Attorney Hassan Jabareen and Adalah Attorney Fady Khoury submitted today's petition to the Supreme Court. The three Joint List MKs sought to submit their bill to counter a separate proposed Basic Law now moving through legislation that is designed to declare Israel the nation state of the Jewish people. Adalah requests the Israeli Supreme Court declare unconstitutional the Knesset Presidium's authority, which is granted by internal Knesset bylaws but not by law. Adalah also seeks to have the Knesset Presidium's decision in this case declared unreasonable and void and to allow the proposed Basic Law: State of all its Citizens to proceed through the legislative process. WHAT IS Basic Law: State of all its Citizens? According to the bill submitted by MKs Zahalka, Hanin Zoabi, and Joumah Azbarga, the State of Israel would be a state of all its citizens and would be governed by democratic rule. The proposed Basic Law is based on equal citizenship and equal civil rights, and prohibits the existence of different types and levels of citizenship on any basis. The purpose of the proposed Basic Law is to anchor the principles of equality and democracy and equal citizenship for all citizens of the State without discrimination or any distinction on the basis of group affiliation. The law ensures that the state will not be the property of a certain group of citizens, but a state for all citizens with full equality. The proposed Basic Law guarantees separation between religion and state, as distinct from the current situation.